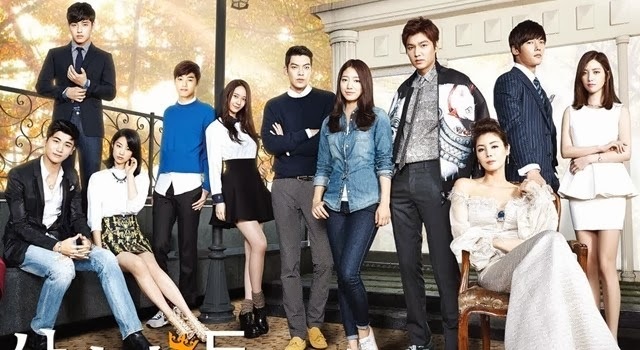 Well, I broke down and finally watched The Heirs. It was much better than I expected, but also a lot of what I thought it would be. Lee Min-Ho was rather charming as the aloof rich guy who turned into a puppy with love. Park Shin-He did what she does best – look adorable at all times, cry a lot, and seem vaguely lost. Kim Woo-Bin ruled as the school bully who finds his soft spot… by tormenting his first crush. And the rest of the large cast was entertaining, interesting, and engaging as the plot lines moved around from episode to episode… from America (how bizarre was that? Don’t break the 4th wall!) to elite private schools, and from the bedrooms to the board rooms. It’s easy for me to be disengaged with these “super rich” dramas. I find myself with a growing lack of sympathy of their problems, but this show managed to keep my emotions in check by doing a very good job of humanizing these rich kids and forcing me to care about them. Quite a few of the side plots were very unique, including the awkward and funny friendship between the mistress and the mute housemaid. It was fun to see Park Hyung-Sik before he’d capped his teeth and really matured into the full-blown handsome A-List actor he is today. Tons of huge stars and exceptionally fine acting prowess saved what probably should have been a mediocre show and propelled it into a highly satisfying soap opera about young love between the economic classes. I confess, I really liked it. Overall Rating – 8/10 – Cinderella Hangs Out with The 1%.